The saying goes that there’s no such thing as bad weather for golf, just bad clothes. Nevertheless, we’ve chosen two solutions for enjoying the game more comfortably in the winter months. OF COURSE if the weather permits, you can play on domestic courses in the winter. But for a complete game you have to make like a migratory bird and head for warm regions. Another interesting option is playing under a roof. 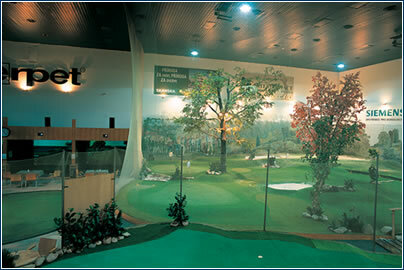 There are a great many sophisticated simulators where you and your friends can play the most interesting courses in the world without leaving your home town. Although a substitute, thanks to advanced computer technology the illusion is perfect – specific courses, with all the pitfalls and treacheries, are projected on a screen. Furthermore, it’s ideal for lazy people, as they don’t have to walk, they just hit the ball into the screen. According to the strength and direction of the drive, the computer precisely determines where the ball will land. Players just continue until they reach the hole. The course rolls out perfectly, just as if you were seeing it for real from various positions. One of our most successful indoor players is entrepreneur Roman Janoušek, who was the republic’s champion indoor drivers. “Indoor play has its specifics and obstacles that you have to discover and learn to work with. It requires far more imagination than playing outdoors,” says Janoušek. “The computer gives you information, including terrain inclination and wind direction and strength, but you’re only standing on a carpet two meters in front of the screen and you have to very precisely determine the strength of the drive. This is hardest when you’re putting on a green,” Janoušek explains. He thinks that indoor training not only facilitates the spring transition to outdoor play, but you can also get the feel of a course you may want to play in another country. Playing in a well equipped hall can also help you improve and polish your technique, using electronic aids that precisely evaluate your play. For example, a laser-assisted swing analyzer can immediately determine the most important data after you hit the ball – e.g., the angle of the backswing, the angle at which the club head strikes the ball, club and ball speeds, climb angle, drive length, and ball rotation. A sophisticated analysis of key game parameters and the player’s performance is also allowed by software on the Czech Golf Federation (ČGF) website, www.mygolf.cz. 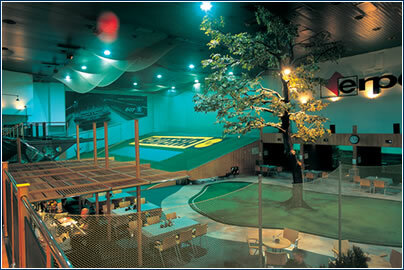 The well-known golfer Alan Babický is currently preparing a new, even more refined program for this site. *NB: Simulator rental prices vary by time of day and are the same for multiple players. 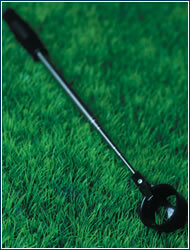 The Compact Ball Retriever is a must for every golfer. There’s a great word for it in Czech – lovítko (catcher). You can use it to fish out balls that stray into water hazards. It just needs a little practice and clear water. You can also try to fish out other lost balls and add them to your supply against further losses. The retrievers are all telescopic and come in varying lengths. The current line features two versions – one is two meters long when extended, only 38 cm when collapsed, and costs CZK 650, and the other is 3.05 meters extended, 73 cm collapsed, and costs CZK 800.